The last few weeks have made us recognize how vulnerable we are to forces bigger than ourselves. The relentless rain, human loss and subsequent flooding and damage to Madison and our surrounding area have left an indelible imprint on our region. It has been humbling and inspiring to see area municipalities and the county rise to assist businesses, schools and residents in need, and do their best to allow life to carry on. The people behind the scenes who responded to human and business needs – throughout the nights and days – and those managing the damage to our green spaces and waterways, deserve our praise and thanks. The one request our governments have asked is to help them assess the damage incurred, so they can apply for federal assistance. The lack of flood coverage for many, make these dollars critical. Therefore, if you have experienced financial impact by the floods, please complete the impact survey that MadREP has created. Click here to access and fill out the survey. On a happier note, the last few weeks for visitors have been fantastic. The second CrossFit Games were a huge success. Some businesses in Madison experienced their best business days ever during the Games and the multi-day exposure for Madison on CBS’ various outlets and on social media was truly unprecedented. And, thanks to the great work of our city and county, our 17th IRONMAN Wisconsin went on as planned! We also welcomed thousands of visitors for Epic Users’ Group annual event and conventions like the Cognitive Science Society. The centerpiece of summer and fall, Bucky on Parade, is coming to a conclusion as we speak. The 85 statues have graced our region and touched the hearts of thousands – young and old. For those of you who want your own Bucky, 30 of the statues will be auctioned off on September 29 at our Finale Party. All are welcome to the party where you can bid on the remaining statues, silent auction items or simply join in the celebration of this unique tribute to this beloved icon. The statues have proven to be magnets for businesses, so an investment in a Bucky makes good business sense. Proceeds go to Garding Against Cancer and other charities. Find information on the auction and tickets here. This fall, the GMCVB is excited to launch its first in-depth branding campaign in many years. Our “MSN” branding campaign will reflect the personality of this great place and feature our “Essential Madison Experiences,” which we believe will pique regional visitors’ interest and inspire future visits to this destination. Moreover, we look forward to welcoming World Dairy Expo, thousands of Badger fans who will come for Badger football and, in November, as a tribute to the great running culture nurtured at UW-Madison, we will host our first NCAA D1 National Cross Country Championships at UW’s superb Zimmer course. We hope this will be the first of many times the event occurs here. Enjoy the longer days while they are here, and prepare for the change of our seasons which brings a new beauty to this special place we call Destination Madison. 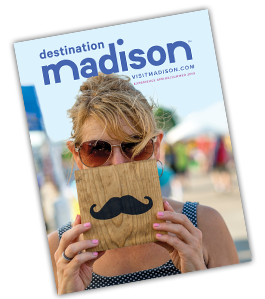 Featured Partner: Madison Festivals Inc.
How has the Madison Marathon evolved since the first race in 1974? The Madison Marathon was started by the Greater Madison Convention and Visitors Bureau in 1974 as a full and half marathon for runners. Since 2001, Madison Festivals, Inc. (MFI) has grown this event to one that involves the entire family and community on two weekends every year. Due to recurring extreme heat on several Memorial Day weekends, the 2013 Madison Marathon and Half Marathon were moved to Veteran’s Day weekend and both events continue to be held the second weekend of November every year. It&apos;s a great way for Midwesterners to end their running season for the year. The Memorial Day weekend events were rebranded as “Run Madtown,” which now include a Saturday evening Kids Race and Twilight 5K & 10K, as well as the Madtown Half Sunday morning. Runners can “Conquer the Capital” by running both Saturday and Sunday! Tell us about the charitable organizations that the Madison Marathon raises funds for. Our official charity partners are Badger Honor Flight and myTEAM TRIUMPH. Badger Honor Flight was selected as our race weekends (Memorial Day and Veteran’s Day weekends) honor those who served in Armed Forces. The purpose of the Honor Flight Network is to ensure that World War II, Korean War, Vietnam War and terminally ill veterans from any war have the opportunity to see the memorials that have been erected in their honor in Washington, DC. myTEAM TRIUMPH aims to enrich the well-being of individuals with diverse abilities and foster lifelong relationships through community athletics. A team of “Angel” runners provide the lungs and legs for a “Captain” to participate. Through race registration, MFI raises donations and awareness for these two great organizations. Additionally, MFI donates $40,000 yearly back to 58 partner non-profit organizations who generously supply volunteers for our race events. It&apos;s community-building for adults and youth to work together, and a great way for MFI to involve and support local non-profits. Individuals volunteering on their own can also choose to donate their hours back to the nonprofit organization of their choice. How can one get involved, either as a volunteer or a sponsor/partner? Call or email us and we&apos;ll get you the details! Madison Marathon aims to highlight the best Madison has to offer, which aligns with the goals of GMCVB. 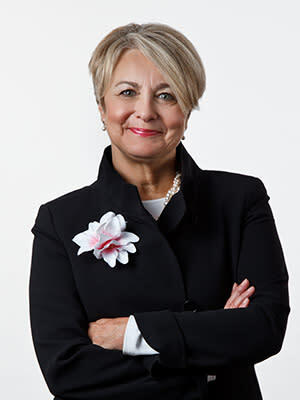 GMCVB assists with hotel room blocks and recommendations for things to do, things to see and places to eat, so our visitors can have a memorable experience. GMCVB also helps promote our events which helps stretch our marketing budget as a non-profit, and in turn helps us promote the city itself. For someone who might not want to run a full marathon, what other Madison Festivals, Inc. events can he/she get involved in? 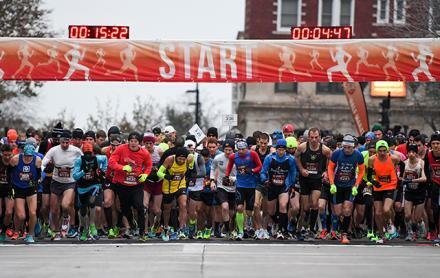 For those looking to tackle a shorter distance, Madison Marathon also includes a Half Marathon event – a great starter distance for a first-timer or beginner. Many people also choose to volunteer on behalf of their nonprofit organization, or cheer along the route – even if they don’t know anyone running! At our May Run Madtown event, the Twilight 5K & 10K events are great ways to be part of the fun. Many people walk these events with a group of friends or family. The Kids Race allows ages 3-12 to join the festivities and adults can run with or cheer. Both race weekends are great opportunities for businesses or corporations to encourage employee wellness, as we offer discounts and specials services specifically for companies to get involved. Madison Festivals is a nonprofit that also owns the Taste of Madison. Between all our events, MFI will donate $120,000 a year to local nonprofits. Our events are "Fun for You. Good for Madison!" Madison’s oldest theatre, having opened in 1906 hosting acts such as Harry Houdini. Nowadays, the theatre features live music, standup comedy, theme parties, and the occasional burlesque show all in an intimate setting. An award-winning music venue that hosts up-and-coming local and touring acts and larger beloved bands in an intimate room. Also hosts free live music on our patio during warmer months. Madison&apos;s newest live music venue where 2,500 of your best friends sing with the hottest bands in the country. Up close, live and in Madison.